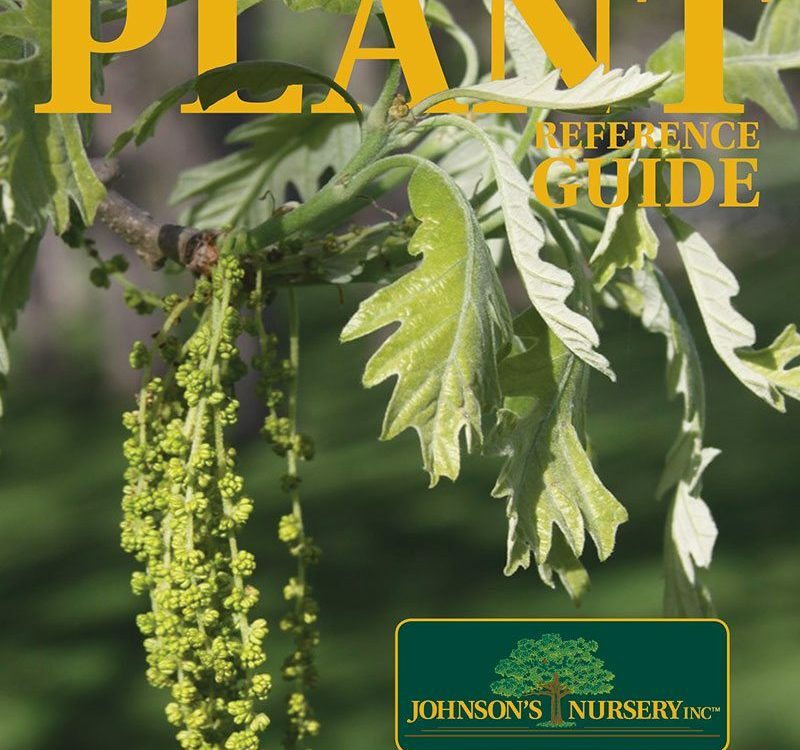 Northern Pin Oak or Scrub Oak as it is often called in the sand country of Central Wisconsin is a really tough, small scale species in the Red Oak group that tolerates tough, droughty conditions. It has very shiny, dark green leaves with very deep pronounced sinuses. Its foliage turns brilliant shades of red in the autumn. The acorns on Northern Pin Oak are quite distinctive, having longitudinal blackish brown stripes on small brown, typically oblong acorns. These fruits are an important food source for numerous animals including: gray squirrels, deer, blue jays, wood ducks, and king birds. The federally endangered Kirtland’s warbler uses Q. ellip. trunk cavities for nesting sites. 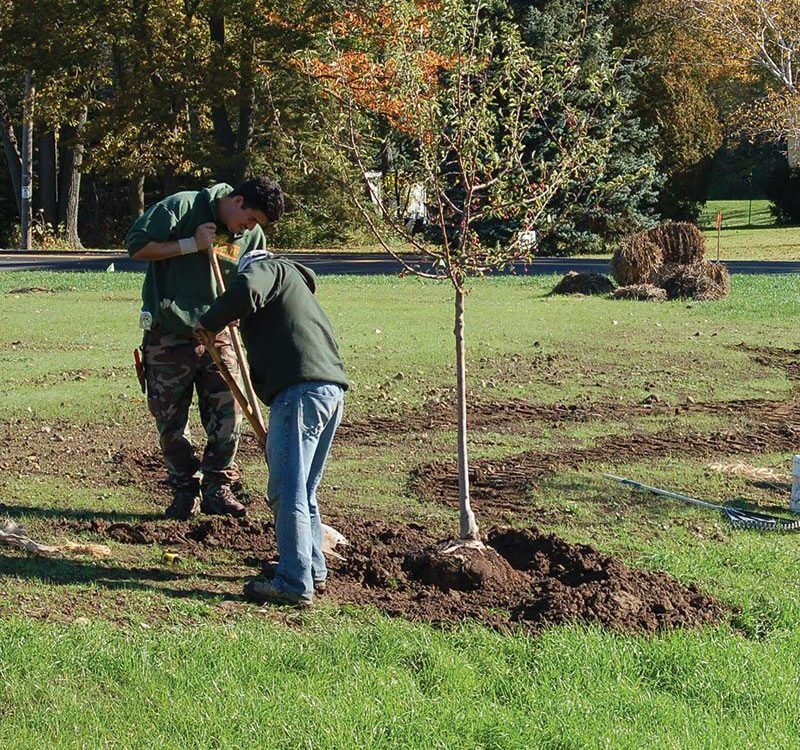 Northern Pin Oak ranges from much of Southern Wisconsin up to the Northwest and into a fair amount of Minnesota as well as Northeastern to North Central Iowa. It can also be found in the wilds of Northern Illinois and Indiana. There are a few disjunct populations in Michigan. The tree is most often found in dry, acid soils and as a result Johnson’s Nursery has had little success field growing this species. We have been able to grow it in containers where we can more easily manage soil pH. However, we continue to search for alkaline soil tolerant strains of this very interesting species. Black Oak (right) has fuzz. 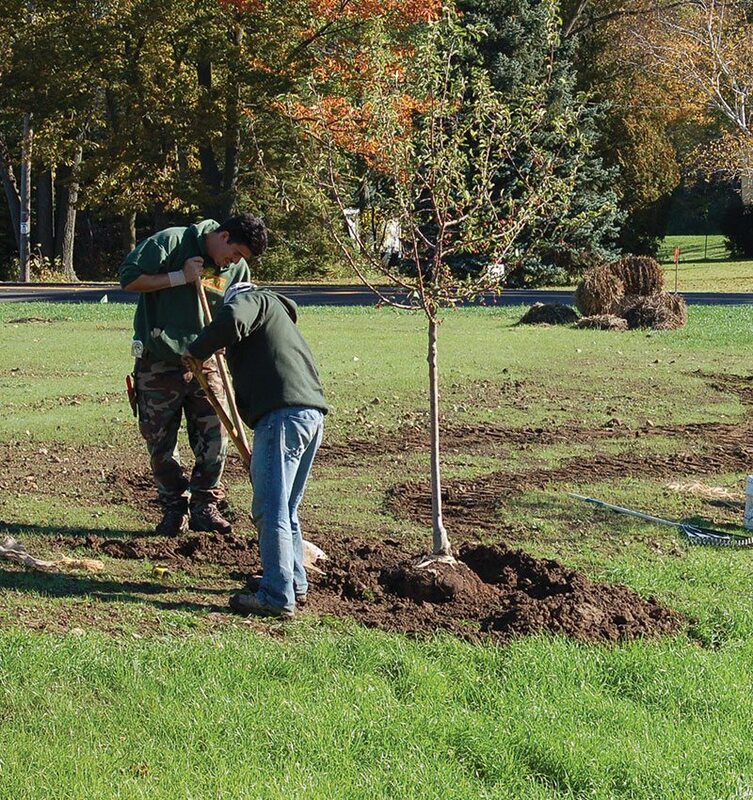 Northern Pin Oak (left) doesn’t. Here I was trying to distinguish them by the acorns and I could never find any consistency. So if you are in the sand country of Wisconsin and are wondering what oaks you are looking at, pull over and look at the buds. 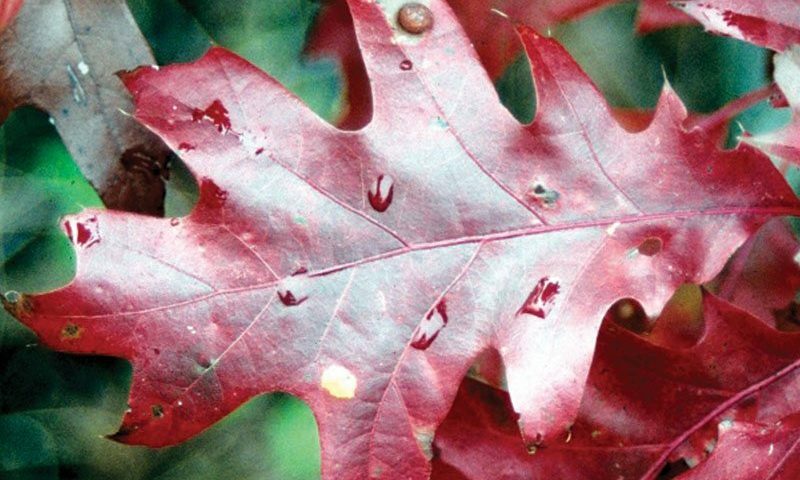 Red Oak is the most common oak species in the woodlands of Southeast Wisconsin. It is distinguished by its large, 5-8” long by 4-6” wide, pointy lobed leaves. 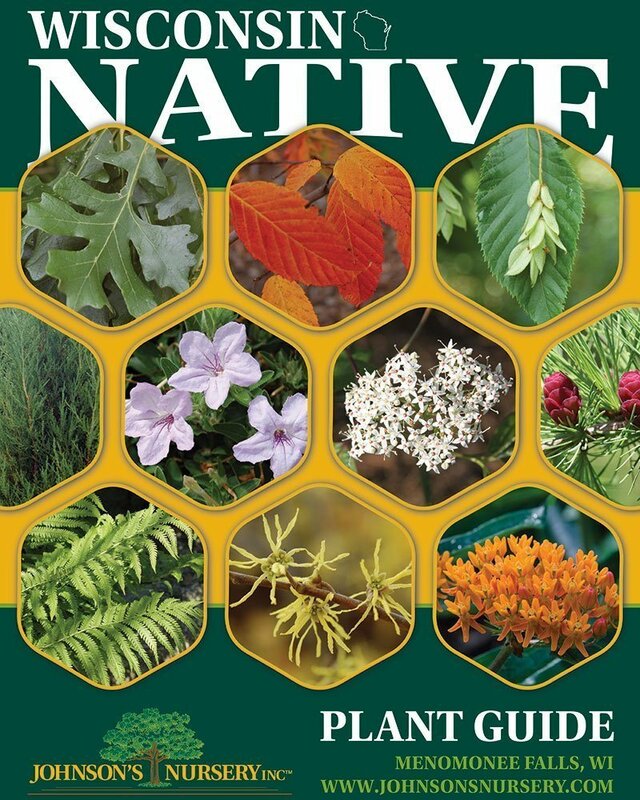 Its foliage turns a russet to bright red in autumn, usually late October or Early November in our area. Its acorns are relatively large being ¾”-1” long with a shallow cap. Trunks on old trees have a distinctive deeply ridged black bark. Quercus rubra is a highly desirable timber tree for use in cabinet making, paneling, flooring, and furniture among other things. 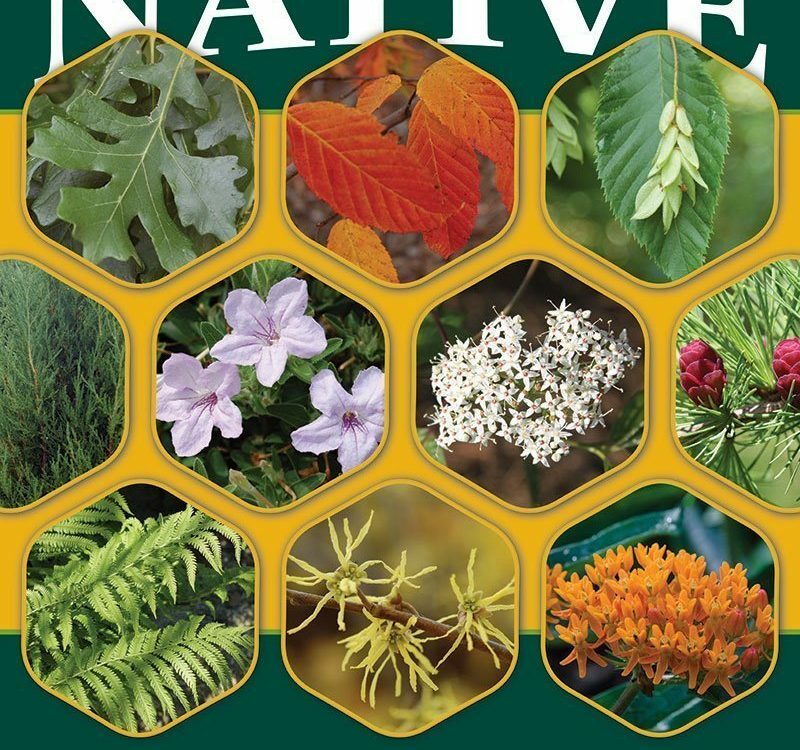 Deer, squirrels, and various birds love the acorns, with turkeys being major consumers in mast years. 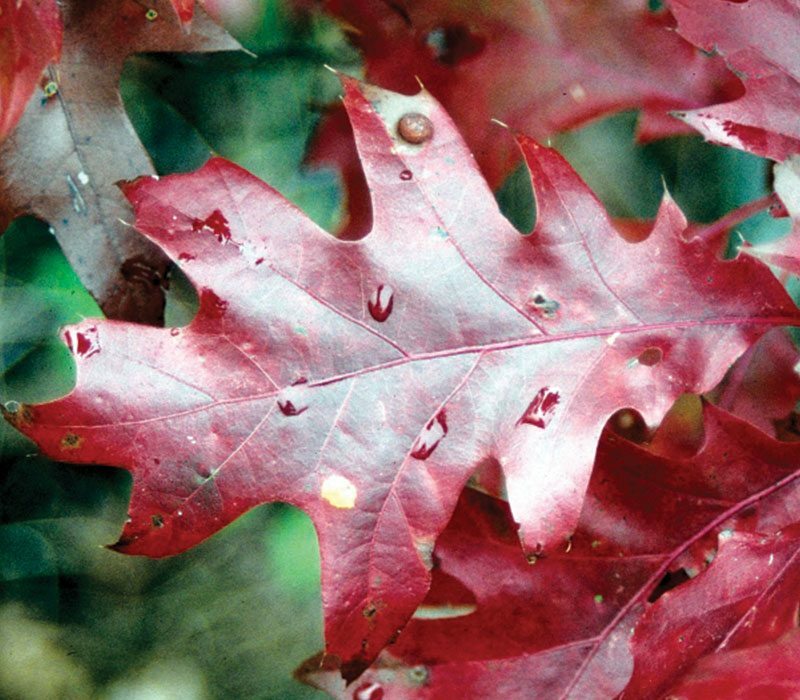 Red Oak is a fast-growing tree that can often times put 2 to 3’ of growth on in a single season. It will caliper up quickly if its soil conditions are to its liking. It prefers a rich, moist well drained soil with an adequate mulch layer over its root system. If not screened for alkaline soil tolerance, this species can have nutrition problems. 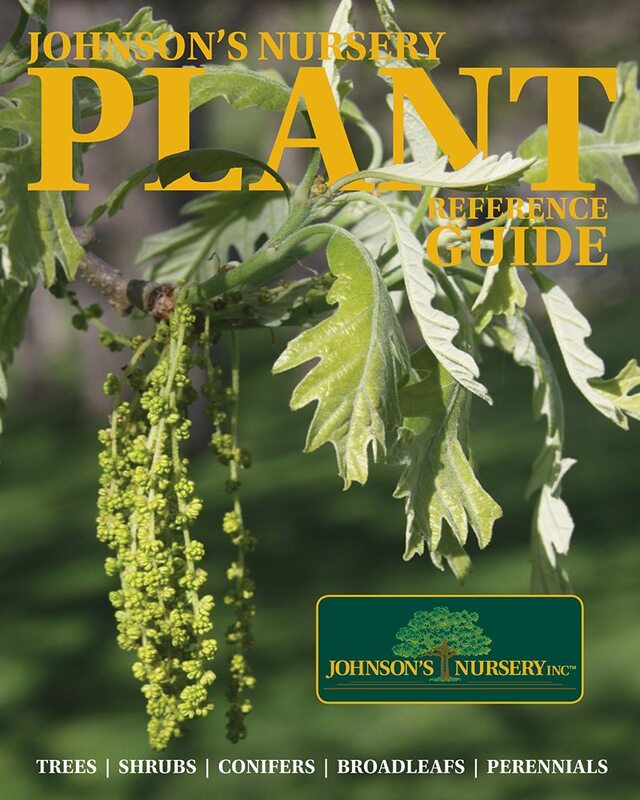 At Johnson’s Nursery, we cull out alkaline intolerant seedlings and only pick acorns from trees that have a high percentage of tolerant plants.